Beistle 50094 NYC Street Sign Cutouts (4 Count). 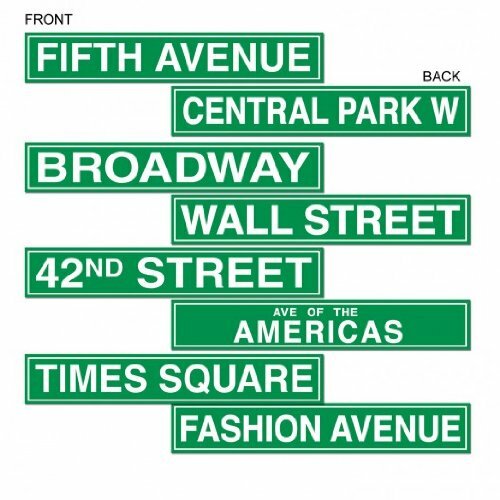 Add some glamour with these famous New York City Street Sign Cutouts. These signs measure 4 Inch by 24 Inch and are printed on both sides. They are a great decoration for any movie night or New York themed event.This item is a great value!